The Trend Forecaster newsletter brings you in-depth, extensively researched trends of design, color, demographics, and the environment. 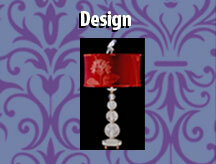 We are written for retailers, manufacturers, distributors, and consumers of retail goods in the USA. These trend forecasts can be applied to all industries including gift, decorative accessories, personal accessories, personal care, wall décor, stationery, outdoor living, garden, permanent florals, lamps and lighting, linens and bedding, bath, textiles, tabletop, kitchenware, rugs, home furnishings, home office, gift-wrap, scrapbooking, and fashion. Your customers expect new and different from you. 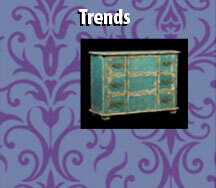 With The Trend Forecaster you will always be on top of the latest trends, colors and demographic changes. And you will have an understanding of what is influencing these trends. Use this opportunity to provide your customers with what they expect from you. Don’t wait for your customers to tell you what’s selling. Subscribe today to be fully tuned into the latest trend directions.